Analyze your software usage data to make more informed business decisions, drive sales engagements, and maximize revenue growth while protecting your intellectual property. As a senior executive at a high-tech software company, I understand that big data and automation is driving change throughout the world. Outbound delivery of messaging to our existing and potential customers needs to be highly personal and focused. To successfully compete, my company needs more actionable intelligence for a data-driven approach to sales, marketing, and product development. My company also has a responsibility to protect our intellectual property (IP) for the sake of our shareholders, our valuable clients and employees. How Can Data Impact My Company? We have valuable sets of data within the company, and specific groups have different objectives. We need to correlate the data we have to get a more complete picture. License compliance (LC) cuts across many disciplines of this process, if properly implemented, has the potential to dramatically impact revenues, while protecting our clients from unfair competition stemming from software piracy. How Is Piracy Affecting Me? If we cannot protect our IP, it is an existential threat to our company. Today we see significant piracy in the rapidly growing economies in Asia, and especially within China. It is not only taking a significant percent of our growth potential away, it is destabilizing and displacing our paying customers. We cannot rely on the government to solve the problem of IP theft, so we are looking for innovative ways to combat piracy. We also need to educate the customer base on the important benefits of using genuine software and the long-term importance of respecting IP rights in the technology community. Research and development needs to unite with sales and marketing on the importance of protecting software IP. Our LC team needs the support to implement a state-of-the-art LC program that will help us understand how deep the piracy problem is, what can be done in the future to minimize piracy, and how we can recover revenue from IP that has already been stolen so that we can continue to fund product innovation. We need a legal strategy to back up the program and to make it clear that theft of IP will no longer be tolerated. We can leverage the same data gathered to identify piracy to provide deeper insights into customer behavior, thus helping our sales and marketing department to optimize trial evaluations, discover technical support issues, and re-negotiate enterprise license agreements. SmartFlow can help my company understand the depth of our problem with a customized piracy impact analysis. SmartFlow’s intuitive data gathering and analytics tools will help us see exactly who is illegally using our software, where, when, and how often. The company can build a timeline for implementing a plan and setting triggers to get started. I believe some of my enterprise customers who have cut back on the purchase of new licenses and support don’t know or are ignoring the fact that their employees are violating the license agreement by sharing a single license for multiple users or making illegal copies. They need to understand that creative licensing is just as illegal as piracy. A comprehensive license compliance program that gathers usage data will provide me with detailed information on people using our software illegally so I can re-negotiate enterprise license agreements and bring customers under complete compliance. The SmartFlow “virtual audit” ability will not only increase target conversion rates by 50-100 percent, it will eliminate the guesswork involved in estimating under-compliance and/or invasive on-site customer audits that disrupt business and threaten customer relationships. SmartFlow can provide management and the legal department with the detailed data needed to negotiate a monetary settlement or initiate a successful legal action to recover lost revenue from piracy. The data gathered from a SmartFlow license compliance program will help me protect our software brand and our customers’ operations by identifying and eliminating counterfeit licenses and cracked versions that don't work properly and may contain dangerous malware that could affect their systems. The usage data gathered by SmartFlow will help my management team make more informed business decisions about addressing non-compliance issues, generating revenue, and staying ahead of the competition. 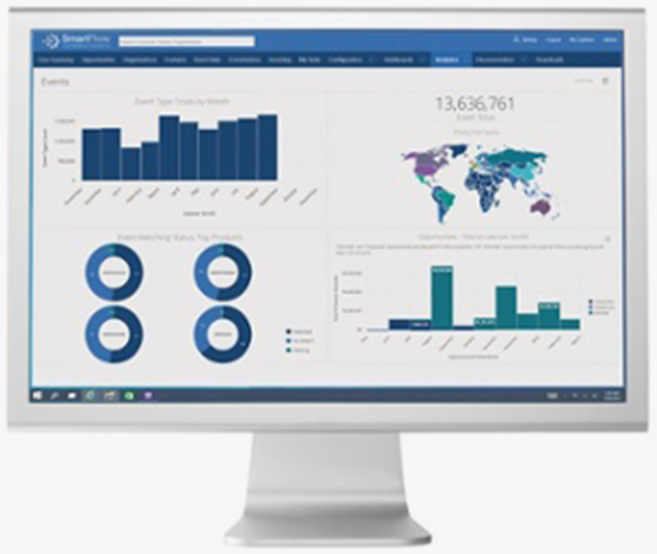 The SmartFlow business intelligence and custom reporting module helps make sense of the patterns that emerge from the usage data and the customizable dashboards offer multiple summary business intelligence and reporting views of event, case, and opportunity data that provide deep insights. I can arm the sales team with data to shorten the renewal timeframe and increase retention. The detailed data from SmartFlow on what parts of the product are being used by customers, what technologies provide the biggest benefits, and what benefits are missing will help me make informed research and development decisions. With the usage data gathered by SmartFlow, the sales team can create more accurate account-based marketing plans that are built on usage statistics, not license sales. Our comprehensive SmartFlow compliance program will enable the company to continually monitor usage of our software to ensure our licenses are being used properly and stay on top of piracy to shut it down quickly. The pirates will understand that we are not a quick and easy target and will seek less formidable victims. I’ll have a steady stream of leads from actual users who simply need to be informed of the terms of our license agreement and persuaded to pay for each software installation. 4,123 machines were detected using a cracked version of TransMagic. 1,347 computers within 879 organizations were identified. Successfully engaged with 466 of those companies and to date has closed 97 cases for a total recovery of $1.2M. TransMagic gained 97 new customers, some of which buy more seats and continue to pay annual maintenance. About 20 percent of lost revenues has been recovered to date. Ongoing investigations involve an estimated $6M in infringements. 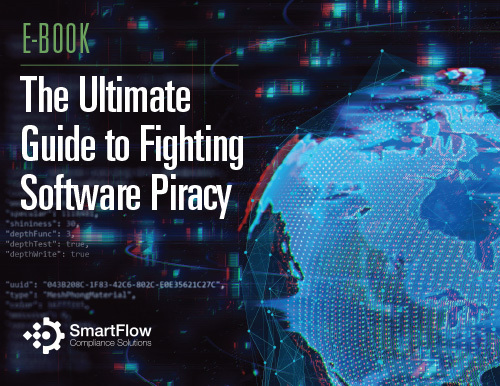 In this e-book the world’s leading license compliance managers, intellectual property experts, and commercial litigation attorneys share their best practices for protecting your software company from piracy and under compliance. The most comprehensive way to break away from destructive audits and create higher software license compliance and better revenue recovery. Managing change is not optional. Standing still in today’s environment means you are falling behind. 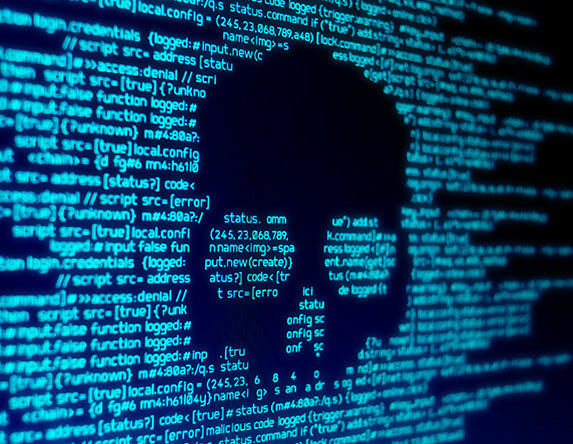 GLOBAL SOFTWARE PIRACY IS A $46.3 BILLION PROBLEM!